Announcement I will be away for Easter weekend, so all orders will be shipped Tuesday 23rd April. Thank you! I will be away for Easter weekend, so all orders will be shipped Tuesday 23rd April. Thank you! I'm Anya and I'm an illustrator based in Sheffield, UK. After graduating from Loughborough University with a degree in Visual Communication: Illustration, I created a series of animal drawings just for fun. I was then was persuaded by some friends to display them as a part of a small group exhibition at a local gallery. The response was so positive that I decided to open up an Etsy shop and also started selling prints and other illustrated products at markets and fairs. My love of the natural world, sci-fi, fantasy and really terrible puns have come together to create a unique collection of prints and illustrated products. Every item starts off as a hand-drawn illustration and through a mixture of traditional and digital techniques I have created a range of prints, stationery and accessories. I also create custom artwork such as pet portraits. 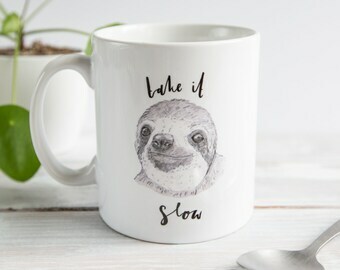 Awesome Merchandise are a fantastic company that allows me to produce products that incorporate my illustrations that I would otherwise be unable to. I currently use them to produce my mugs, pocket mirrors and notebooks.